Depending on the size and species of the bird of paradise, transplanting it can be a hefty job. Even a semi-full grown bird of paradise can be quite heavy to handle. Transplanting a bird of paradise will also call for extreme care when extracting it from its original place in the ground. If you meet all the requirements necessary for a successful transplant, your bird of paradise should recover relatively quickly and give you years of stunning blooms. Wait until all signs of cold weather have left your area before transplanting the bird of paradise. You will have more success if you wait to do the transplant until spring or early summer. Dig around the bird of paradise to expose the root system. Cut off as few roots as possible when doing the digging. The more roots you transplant with the plant, the stronger the transplant will be. Dig another area in your yard that will be big enough to house the bird of paradise root ball. The new planting hole should not be any deeper than where the bird of paradise was originally growing. Amend the planting area with compost or peat if the new planting area has a lack of organic material naturally contained in it. Remove the bird of paradise from its original planting site.Take as much of the root ball as possible without damaging it. If the plant is too heavy to carry by yourself, place it inside of a wheelbarrow. Place the bird of paradise into the new planting hole. Cover the root ball with soil, putting the plant is at the same height in the soil as it was in the original site. Stamp off the ground around the base of the plant to remove any air pockets and firm the plant in its new site so it won’t fall over when watered. Water the transplanted bird of paradise regularly for the first three months after the transplant. Keep the soil moist but not soggy. Bird of paradise plants will not live in flooded conditions, and it may take up to three months for the plant to establish itself in its new home. 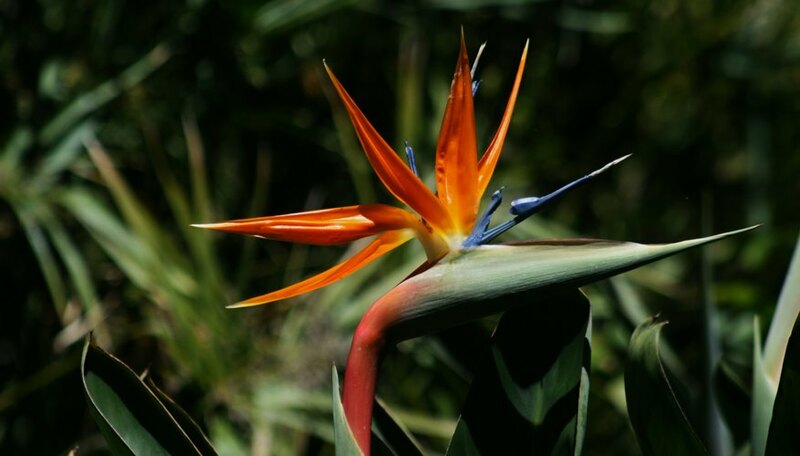 Fertilize the transplanted bird of paradise with a water-soluble fertilizer. Apply the fertilizer every two weeks to help the plant re-establish itself. If you are transplanting seedlings, wait until there are at least four leaves on the seedlings before transplanting into the garden.